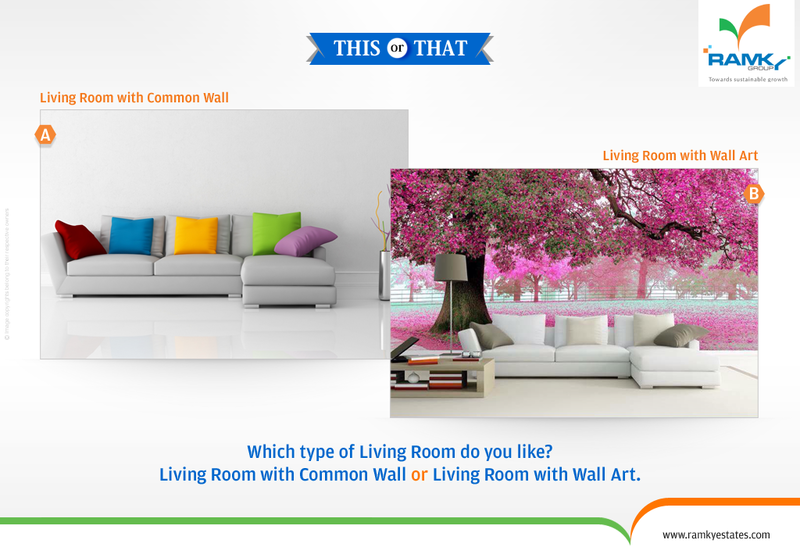 Ramky estates & farms ltd..: #ThisOrThat Which type of Living Room do you like? Living Room with Common Wall Or Living Room with Wall Art. Share your opinion in the Comments. #ThisOrThat Which type of Living Room do you like? Living Room with Common Wall Or Living Room with Wall Art. Share your opinion in the Comments.